Lets meet us at MosBuild 2019! 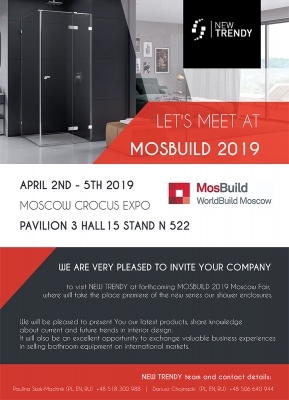 We are very pleased to invite You to visit NEW TRENDY at forthcoming MOSBUILD 2019 Moscow Fair. 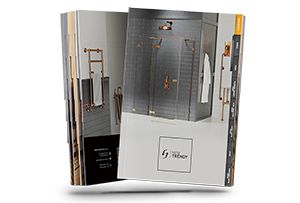 We will be pleased to present You our latest products, share knowledge about current and future trends in interior design. It will also be an excellent oppor-tunity to exchange valuable business experiences in selling bathroom equip-ment on international markets. Let's meet at MosBuild 2019 !